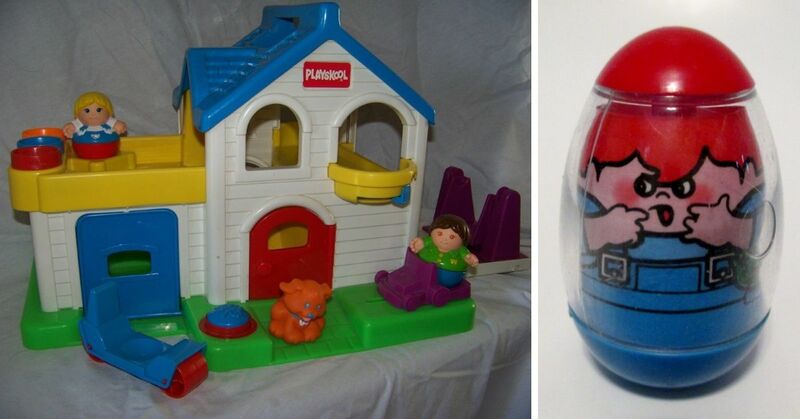 When you think back to your childhood, what toy do you remember spending most of your time with? There's probably one that stands out, whether it was a particular stuffed animal, a special Barbie, or even a video game, that you remember going absolutely bananas over. Have you ever wondered if you were the only one to be completely obsessed with it, or if kids from other states also loved the same thing? Well, AT&T has decided to dig into the world of 90s nostalgia, and they hope to answer the question we've all had, "What is the most popular toy in my state?" 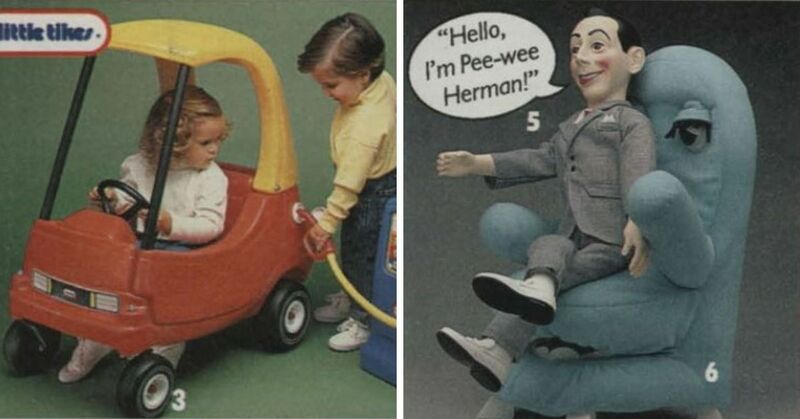 Obviously, it was going to take a lot of work, and so they began examining shopping trends of the 90s and found out the most popular toy of the decade in each individual state. 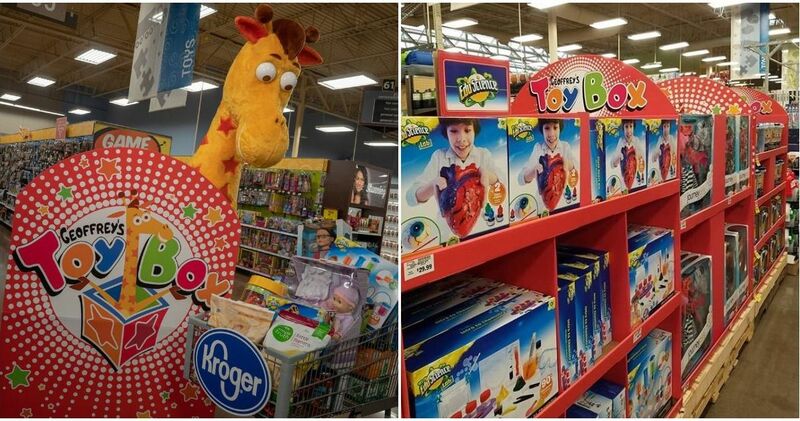 Not only did they find out what toys were popular then, they also did a bit of an eBay deep-dive to find out how much those old classics are worth now. 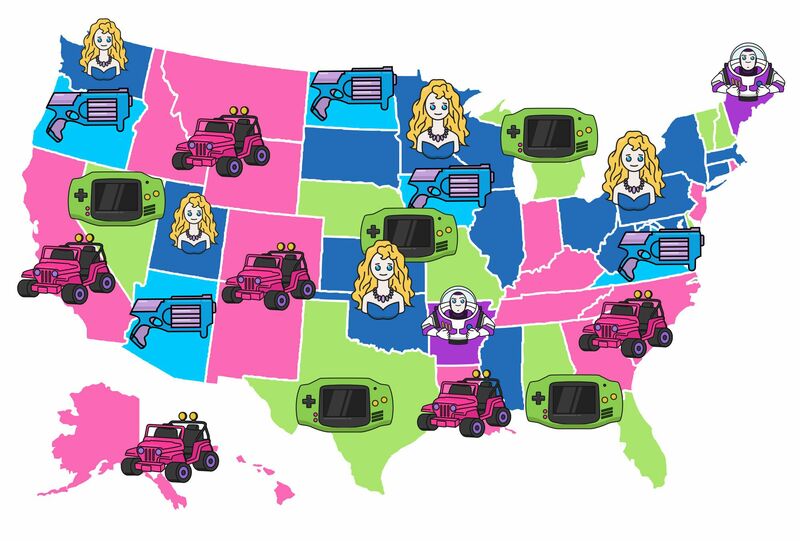 Are you ready to find out your state's most popular toy? 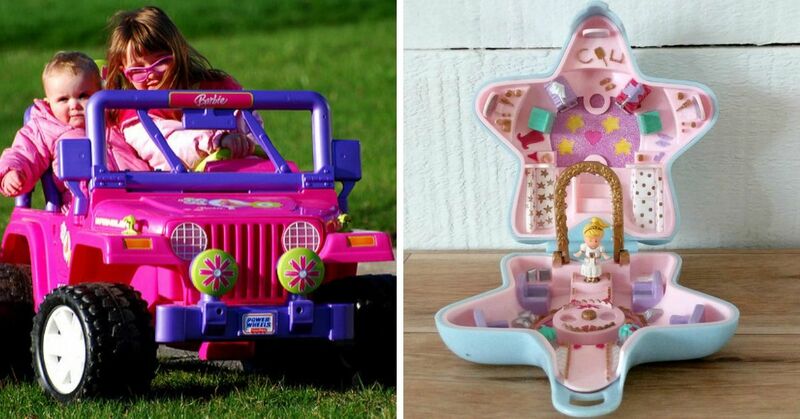 And which state had the same favorite toy as you? 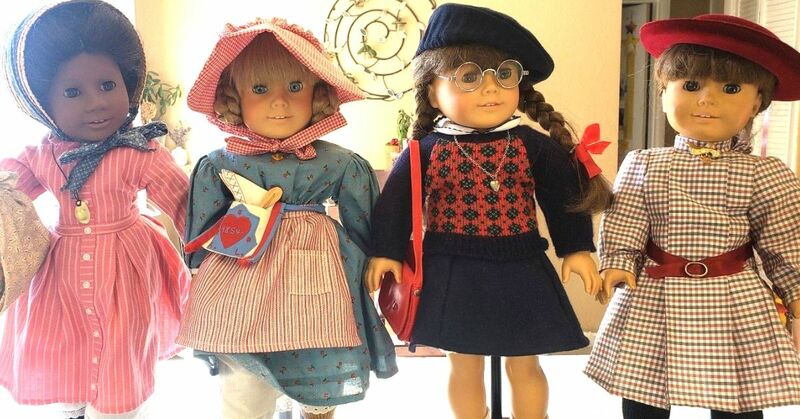 American Girl Dolls remain popular in more states than any other classic toy. They are the favorite in Connecticut, Illinois, Kansas, Maryland, Massachusetts, Minnesota, Mississippi, Pennsylvania, Utah, and Wisconsin. Georgia, Indiana, Louisiana, South Carolina, and Tennessee all seem to love those cars that you can ride around in, and honestly we're a little jealous. Those things are awesome. 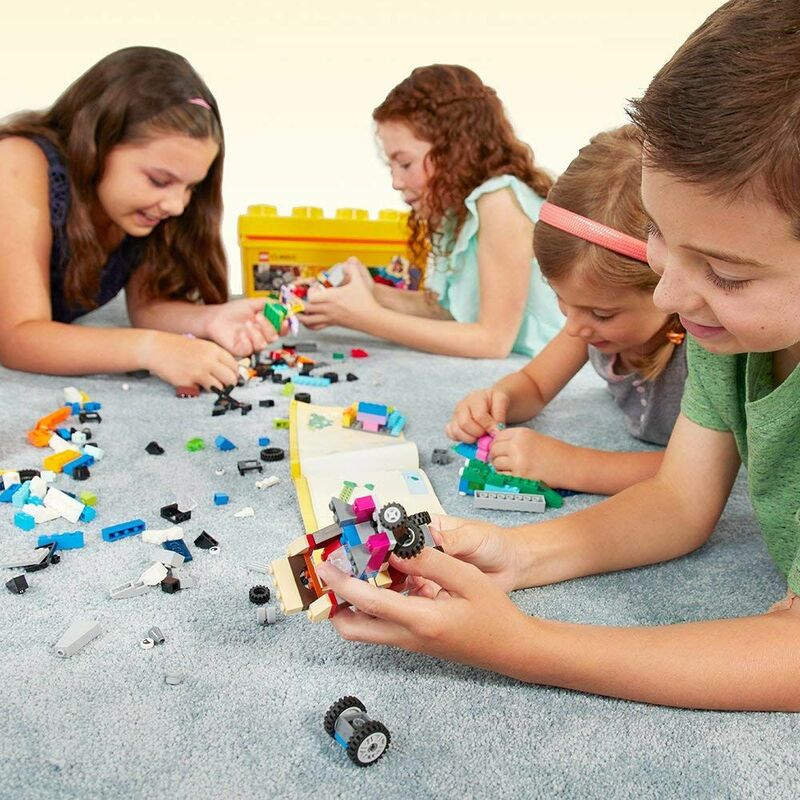 In California, Montana, and New Mexico, kids appreciate the classic and creative Lego sets. But, the best thing is that you can still get so many awesome sets, including this big box of bricks to create whatever you want. New Jersey and North Carolina seems to be filled with budding fashion designers, obsessed with planning out some new outfits. The kids in Alaska and Kentucky became obsessed with those tiny animals that you'd lose way too easily. In Oklahoma, kids were obsessed with that doll that could chew and needed you to change their diaper... Seriously. 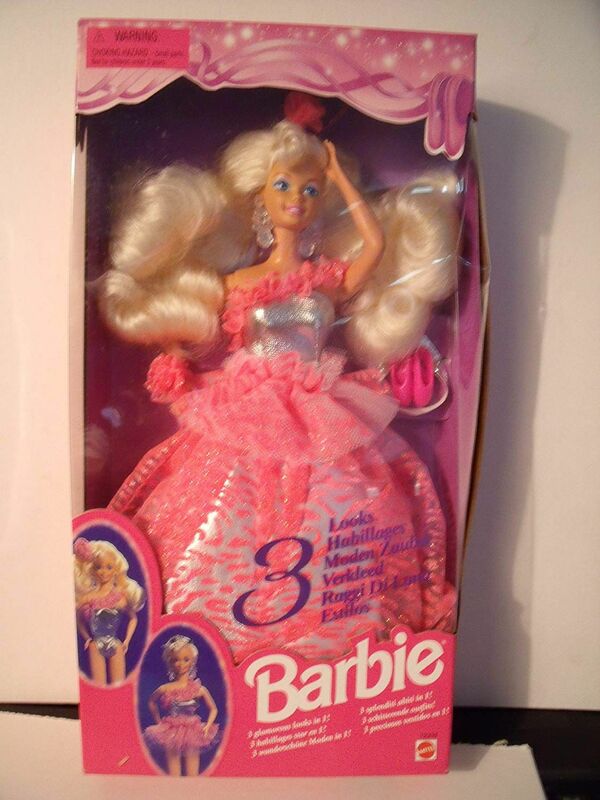 Shockingly enough, only West Virginia was cited as having Barbie as their most popular toy. I don't think she's too upset about it though, she's plenty popular. If you want this particular doll, you can find her for sale on Amazon along with a bunch of other classic retro dolls. Ohio was really into the wacky and different Betty Spaghetty dolls that remained popular into the early 2000s. The 90s wouldn't have been even half as good without Toy Story, so it's surprising that only Arkansas considered Buzz their favorite toy. While I completely forgot this existed, Florida remembers this "Rapid-fire shoot-out" game fondly. 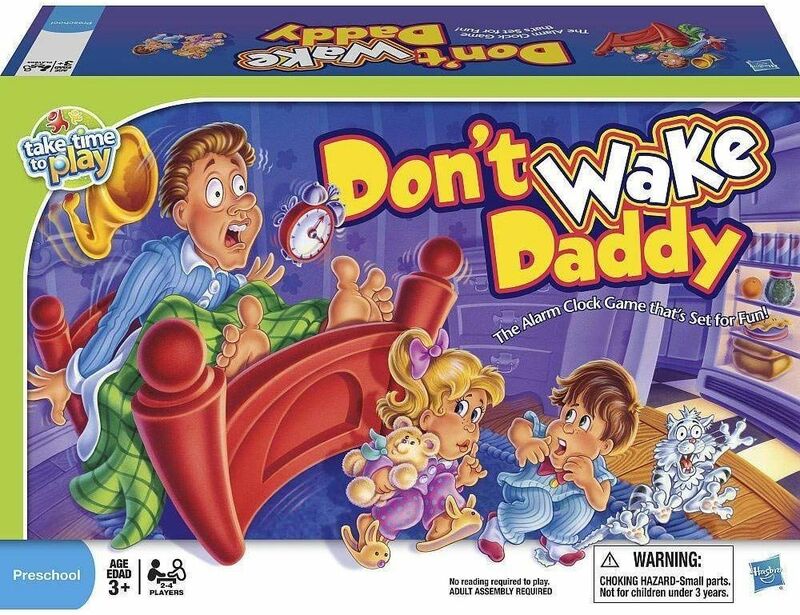 In Alabama kids apparently loved one of the weirdest board games ever. As weird as it is, you can still buy it new on Amazon. Wyoming loved those little individual-sized cakes that took one hundred years to cook because you were using a tiny little lightbulb. Even though their parents probably hated finding all those butterflies around the house, the kids of Missouri were obsessed with Elefun. 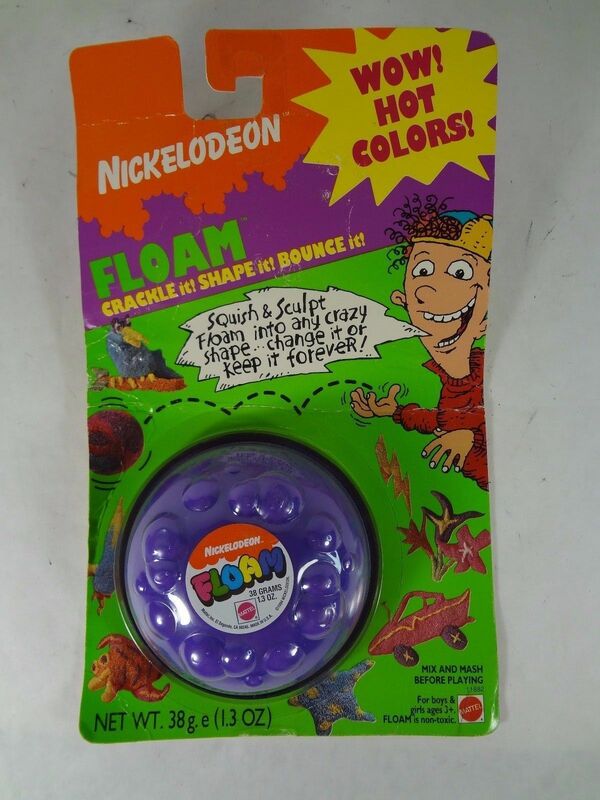 For some reason certain Floam colors are worth a crazy amount of money, but maybe it's because the kids of Hawaii are trying to get back what they once had. New Hampshire knows where it's at. Gameboys were the dream. While it might sound like something targeted at Florida, the real fan of Gator Golf was actually Texas. Don't try and stop the kids of North Dakota, because they are going to be zooming by on their roller-shoes before you can say anything. 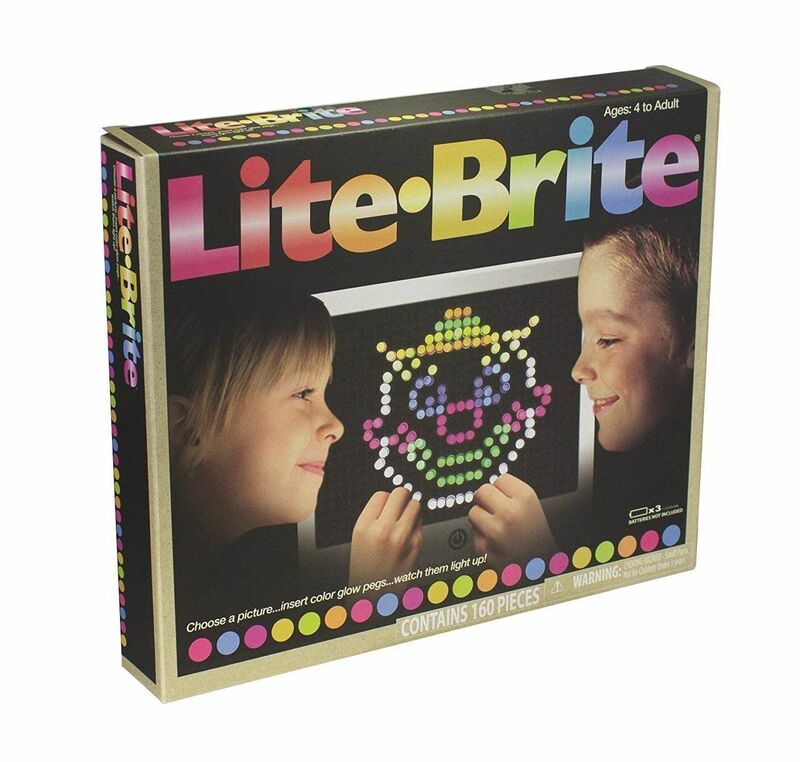 Kids today can still get them too, they are less than $20! The popularity of Koosh balls may have to do with Rosie O'Donnell's obsession with throwing them at her audience, or it may be because Oregon kids were completely frantic about collecting them. Idaho was home to a lot of creative kids who were maybe a little bit afraid of the dark. Don't worry guys, a lot of all over the country felt the same. You know what, even as an adult I kind of want one of these. Luckily they are still available brand new on Amazon. Kids from Nebraska were super entertained by Mr. Bucket. Seriously. No, I don't get it either. 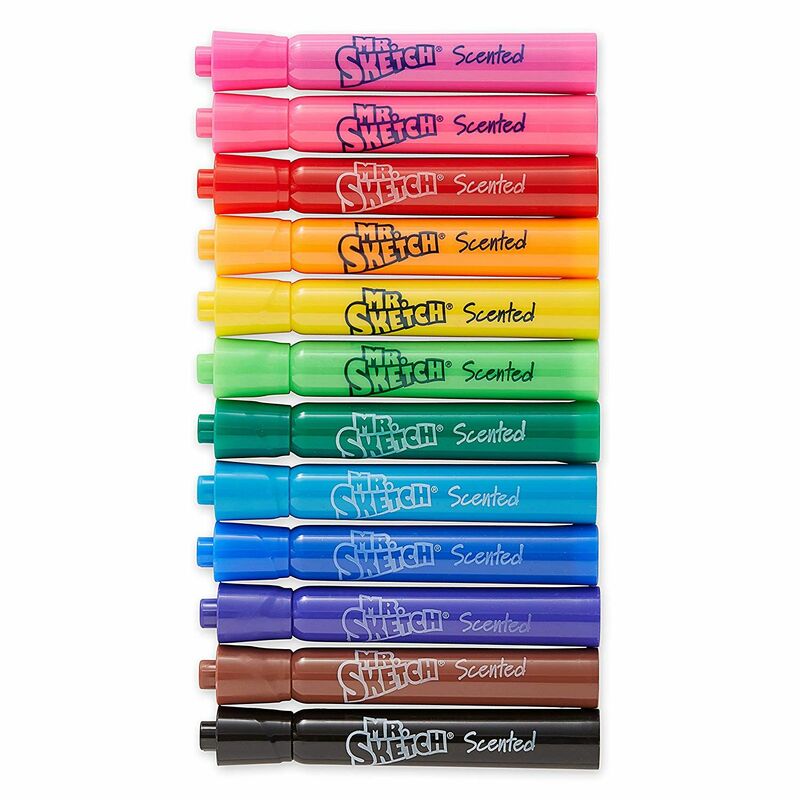 I probably wouldn't have counted this as a toy, as these markers were used in some pretty important kid business like book reports and poster board displays, but in Colorado all the kids needed to have scented markers. You can still buy them on Amazon too! So while those regular-size Barbies were only popular in West Virginia, the kids in New York wanted the gigantic dolls. I guess they just really liked sharing her outfits. Arizona was all about the Nerf gun fights, rumor has it they are still battling to this day. It's shocking to me that Vermont is the only state to fully appreciate the glory that is the Nintendo 64. I don't know why Michigan loves the game that gave so many of us an indescribable amount of anxiety, but I guess to each their own. Nevada kids were fans of the little cardboard disks, maybe because they used them to pretend they were making their own casino chips? 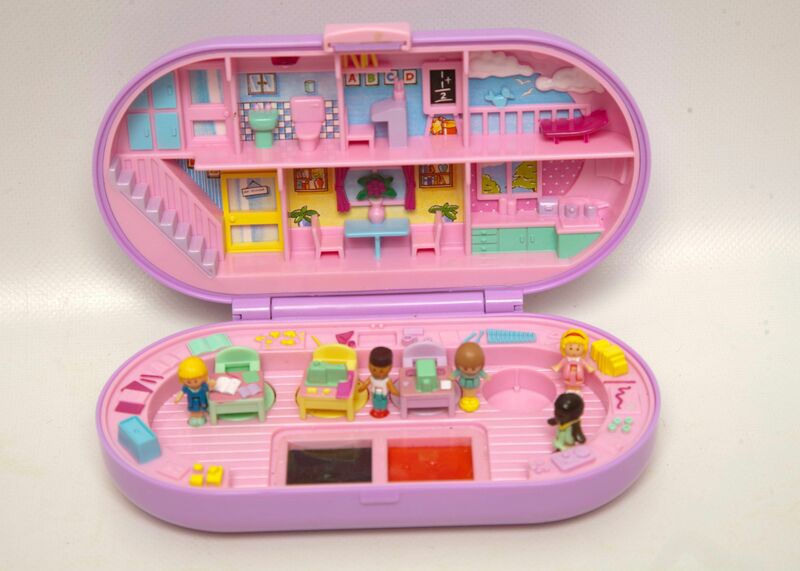 The kids in Washington appreciated the perfection that was the delicate and cute little Polly Pockets. The children of Maine became obsessed with Power Rangers toys, and you know what, that's a great choice. Good job Maine. Iowa kids love that exhausting cardio exercise that resulted in more bruised ankles than anything in the world. 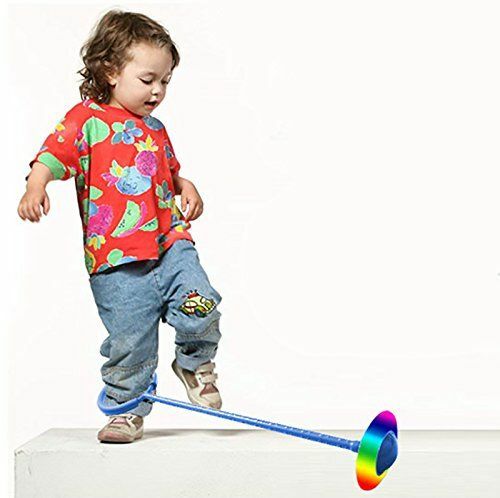 If you're ready to risk the next generations ankles, you can still buy Skip-It style toys on Amazon. I guess the kids in Virginia had a bit of a violent streak that their parents needed to tend to. In the District of Columbia, kids are always reaching for their Super Soakers. If you're in Delaware you may still see some of those 90s kids clutching their Tamagotchis in their hands, refusing to let them die. Good thing Tamagotchis are back on Amazon though, so if you did lose yours all those years ago, you can get a new one. Rhode Island was the home of the tiny skateboard. Going outside and using a real skateboard was maybe a little bit too dangerous, so instead let's play with these. And finally, South Dakota was the state where Trolls really swept the toy stores, with all the kids demanding those weird, big-haired, creatures for every occasion. So, do you agree with your states most popular toy?